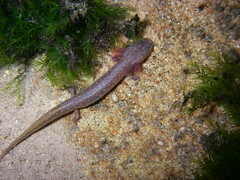 Here you can find many resources for learning more about the Texas Eurycea salamanders. If you have an idea for additional resources to feature on this page please send an email to eurycealliance@gmail.com. 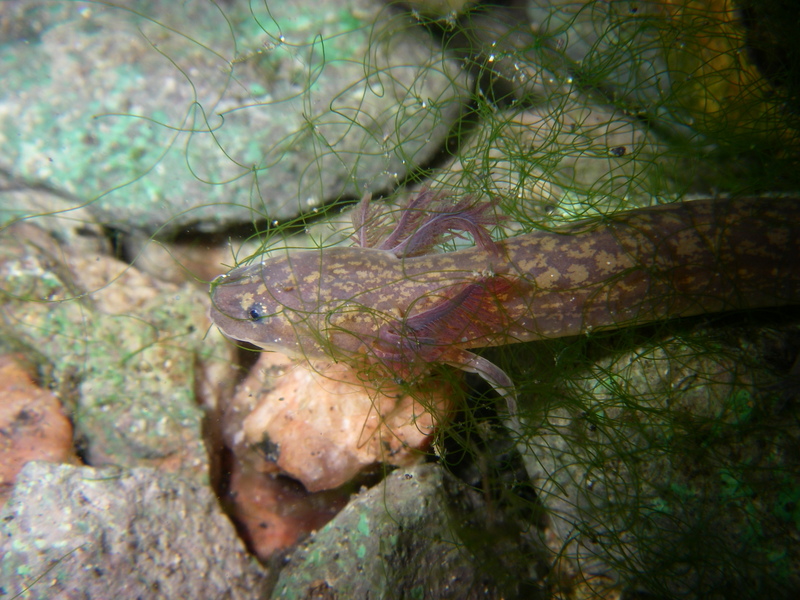 This bibliography was created with the goal of compiling a comprehensive list of research papers and natural history observations on the central Texas Eurycea salamanders that would serve as a resource for scientists, habitat managers and policymakers. It is the product of joint interest in such a resource at the first meeting of the EuryceAlliance in May 2011 at Texas State University – San Marcos. The EuryceAlliance is an interdisciplinary working group of scientists and natural resource managers dedicated to advancing research and conservation of the neotenic Eurycea salamanders of central Texas. 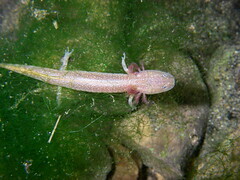 The body of scientific literature regarding this unique group of salamanders extends back well over 116 years to Stejneger’s 1896 original description of the Texas Blind Salamander (Eurycea rathbuni). 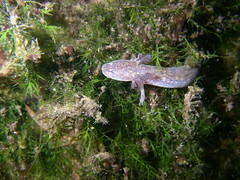 As of September 2013, this bibliography contains more than 200 scientific papers and reports by 120+ scientists about the central Texas Eurycea and their habitat. It includes more than 50 government and consultant reports, 30 masters theses and dissertations, 130 peer-reviewed articles, books and conference proceedings, not to mention the wealth of unpublished information that exists in natural history collections, field notes, databases and presentations from scientific meetings. Updates and notifications of new citations should be sent to eurycealliance@gmail.com. The authors are especially interested in obtaining PDF reprints of articles marked with a ~ that we can add to a growing database of reprints. If you do not have access to article reprints through your institution, please send an email to eurycealliance@gmail.com for assistance with finding copies of specific articles. Please click here to download a PDF copy of the bibliography. The listserv will help us keep in touch between meetings, share research and permitting tips and discuss important Eurycea conservation and research related issues. Important announcements about EA meetings and other Eurycea related opportunities will also be distributed over this list. Feel free to post questions for other researchers, share your new publications and reports and anything else you think will be of interest to other EA members. To subscribe please click here. Many thanks to Nathan Bendik for setting up and administering the listserv! If you have trouble with your subscription, please send an email to eurycealliance@gmail.com. Requests to join the listserv will be approved by listserv administrators as quickly as possible. In the sign-up form, please include your full name as your “nickname” and please fill out the question about your background in Eurycea studies.